Freightliner Custom Chassis Corp (FCCC) delivered its 50,000th chassis to UPS in a major milestone for their 22-year partnership. Leaders from UPS and FCCC recently were on hand at FCCC headquarters in Gaffney to mark the official delivery of the milestone chassis, which was specially branded and displayed for the event. Roger Nielsen, president and CEO of FCCC parent company Daimler Trucks North America (DTNA), was on hand with other DTNA leaders for the celebration, along with elected officials and civic leaders from Gaffney and Cherokee County. FCCC began its partnership with UPS in 1996, delivering more than 600 units of its MT-45 chassis that year. FCCC delivered to UPS more than 1,000 chassis in a year 13 times since then, with a peak of more than 6,000 in 2015. While more than half of the 50,000 chassis delivered to UPS were either gas- or diesel-powered, FCCC and UPS also have developed and deployed a range of alternative-fuel products, including hybrid-electric, hydraulic hybrid, electric, compressed natural gas (CNG) and propane-autogas. “UPS has become – and remains – the global leader in logistics and delivery by being efficient, reliable and forward-thinking,” Sather added. “In turn, they need their delivery vehicles to be efficient and reliable. Tesla unveiled the prototype of its Semi to much fanfare in November 2017. Successive press events and public test drives built the perception that the Semi would enter production in the near-term; numerous large companies made preorders. Yet, during the Q1 2018 earnings call, the Semi received no mention except in response to questions; CEO Elon Musk essentially admitted the project had been put on hold. Lack of capital to build a manufacturing plant and apparent technological challenges have raised eyebrows since the unveiling; the financing situation has only gotten worse since then. It appears increasingly certain that the Tesla Semi will never see commercial production. Six months ago, the Tesla (TSLA) buzz was all about the Semi. This electric truck, which CEO Elon Musk unveiled to much fanfare in November 2017, was supposed to be a mind-blowing “beast”. Indeed, Musk promised that the Semi would redefine the trucking industry. The glitzy reveal event had the desired effect, boosting Tesla’s share price and providing a welcome distraction from the painfully slow production ramp of the mass-market Model 3 sedan. Musk promised to begin production in 2019, a pledge that was swiftly followed by a raft of announcements from numerous big companies that had placed orders. The Tesla Semi was lauded as a massively valuable game-changer by the company’s various boosters. With hundreds of preorders on the books, as well as promises that the Semi would be more cost-effective than current big rigs, it looked like Tesla might have a big winner on its hands. Thus, it should perhaps come as a surprise that the Tesla Semi received no mention whatsoever in the company’s Q1 2018 update letter. Why would this potentially revolutionary vehicle get no love at all? I actually don’t know how many reservations we have for the Semi. About 2,000? Okay. I mean, we haven’t really tried to sell the Semi. It’s not like there’s like an ongoing sales effort, so sales – orders for Semi are like opportunistic, really companies approaching us. Yeah, it’s not something we really think about much. Ford Motor faces a complete production shutdown of its profit-driving F-150 pickups for an unknown period of time. “It is a very fluid situation,” company spokeswoman Kelli Felker said Tuesday. A major fire at Meridian Magnesium Products in Eaton Rapids, Mich., on May 2 created an unavoidable disruption. Ford has been working with the die-cast parts manufacturer since the incident. The truck side of the Ford Kansas City Assembly Plant in Missouri shut down this week because of the parts shortage caused by the fire, sending about 3,600 workers home, Felker confirmed. A decision is pending on when or if the Dearborn, Mich., Truck Plant will shut down, which would affect another 4,000 workers. “We will be making that decision shortly,” Felker said. The F-150, America’s top-selling vehicle, is built only at the two sites. No date has been set for reopening the Kansas City plant, Felker confirmed. The letter urges workers to keep their personal contact information updated so they can get updates as information becomes available. Analysts and the company said F-150 inventory is fine for now but the situation is volatile. Stephanie Brinley, senior analyst at IHS Markit, agreed that panic is premature. On a side note, the Kansas City plant also builds the Ford Transit with the help of about 3,400 workers. They have not been impacted by the shutdown, Felker said. Meanwhile, production of the Ford Super Duty trucks has stopped, but no layoffs have occurred, she confirmed. The Kentucky Truck Plant in Louisville and the Ohio Assembly Plant in Avon Lake, the only sites where Super Duty trucks are built, are not scheduled for shut down. Felker said Ford has continued manufacturing Expeditions, Navigators and other large vehicles uninterrupted. In addition to the Pacifica and Pacifica Hybrid, the plant produces the Dodge Grand Caravan. The fire early May 2 has been described as one of the worst fires in the last 40 years in Eaton Rapids, according to the Lansing State Journal. “The blaze at Meridian Magnesium, the city’s largest employer, forced the evacuation of nearly 150 people from the building, but one city official said it was ‘a miracle’ that only two people were injured,” the State Journal reported. The fire was followed by a series of explosions, but despite the damage at the 208,000-square-foot plant, which produces instrument panel components, some workers were told they could return to work that day, the paper reported last week. “The blaze apparently originated in an area of the plant called the ‘tunnel,’ where workers put magnesium scraps on a conveyor belt to be melted down,” the State Journal reported. The paper noted that the cause of the fire remains unknown. More than 400 people are employed at the plant. When looking at driving safety in our state, it has to be looked at from every angle. This month, I want to talk about driving on the road with semi-trucks. A semi with a trailer is approximately 70 feet on average. Think of that as having a six-story building going down the highway. They are big, bulky and slow to stop, and take up a lot of room when changing direction. Drivers making an error in judgement around semis or a semi driver making an error in judgement around cars can have serious to fatal consequences. All it takes is a little pre-planning by both the semi driver and the drivers in other, smaller vehicles to make sure a crash doesn’t happen. By this I mean have a plan for the unexpected. Don’t follow too closely, in case the other vehicle has to stop quickly and without notice. Know the stopping distance of your vehicle at highway speeds. For instance, a fully loaded semi-truck with a gross vehicle weight of up to 80,000 pounds, going just 55 mph, has a stopping distance of 100 yards; that’s the length of a football field. Drivers in cars and trucks need to make sure to give semis plenty of space when merging in front of them or you may have it sitting on top of your car. For the semi driver, make sure you are checking and continue to re-check your mirrors when making those lane changes. Smaller cars and trucks can easily hide in those blind spots. Just because you are big, doesn’t mean you don’t have to give the right of way to other vehicles. Make sure your right of way is free of other traffic prior to merging or turning onto a roadway. On the other side, please give semis a break when they are trying to merge or make turns. It takes a lot of space to maneuver these rigs and to get one going can take some time. In areas where there is heavy semi traffic, try to avoid the area if possible to reduce your chance of having a crash with one of them. If you drive the semi, try to make sure you don’t get in a small convoy with other semis so you can give the smaller and often local traffic a break. By being courteous to one another on the roadways, we can eliminate crashes that involve semi-trucks with other vehicles. Try and put yourself in the other person’s vehicle and think about what they would like from you so they can get where they are going, just as they can try to help you get to your destination. And lastly, in case anyone has forgotten the other big one, here is a reminder: blinkers, blinkers, blinkers. Remember, these tips are good to pass along to the younger drivers in your life. Please spread the word. Navistar Inc. disputes allegations that it didn’t thoroughly test its MaxxForce EGR engines — allegations that surfaced in a lawsuit where a jury last week awarded $30.8 million in damages — including testimony about the engine program by former executive Jim Hebe that the company “did not test s**t”. “The jury seemed shocked to hear this testimony about the corporate culture and philosophy of Navistar from one of the company’s top executives,” said Clay Miller of the Dallas law firm Miller Weisbrod, lead trial attorney for Milan, referring to Allen’s testimony. Miller said he believed this played a key factor in the punitive award. Reportsbuzz added a new latest industry research report that focuses on Off-Highway Diesel Engine market ” and provides in-depth Global Off-Highway Diesel Engine market analysis and future prospects of Off-Highway Diesel Engine market 2017. The research study covers significant data which makes the document a handy resource for managers, analysts, industry experts and other key people get ready-to-access and self-analyzed study along with graphs and tables to help understand market trends, drivers and market challenges. The research study is segmented by Application/ end users Automotive, Mining, Construction, Agricultural Application, products type Type I, Type II and geographies like United States, China, Europe, Japan, Korea & Taiwan. 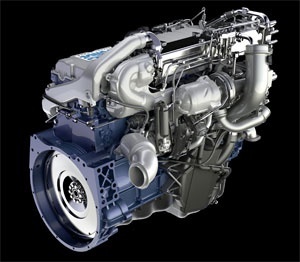 The research covers the current market size of the Global Off-Highway Diesel Engine market and its growth rates based on 5 year history data along with company profile of key players/manufacturers such as Volvo, Deere & Company, Scania AB, Perkins Engines, MTU Detroit Diesel, Komatsu America Corporation, Cummins Inc, CNH Industrial, Caterpillar. The in-depth information by segments of Off-Highway Diesel Engine market helps monitor future profitability & to make critical decisions for growth. The information on trends and developments, focuses on markets and materials, capacities, technologies, CAPEX cycle and the changing structure of the Global Off-Highway Diesel Engine Market. The study provides company profiling, product picture and specifications, sales, market share and contact information of key manufacturers of Global Off-Highway Diesel Engine Market, some of them listed here are Volvo, Deere & Company, Scania AB, Perkins Engines, MTU Detroit Diesel, Komatsu America Corporation, Cummins Inc, CNH Industrial, Caterpillar. The market is growing at a very rapid pace and with rise in technological innovation, competition and M&A activities in the industry many local and regional vendors are offering specific application products for varied end-users. The new manufacturer entrants in the market are finding it hard to compete with the international vendors based on quality, reliability, and innovations in technology. Global Off-Highway Diesel Engine (Thousands Units) and Revenue (Million USD) Market Split by Product Type such as Type I, Type II. Further the research study is segmented by Application & Other with historical and projected market share and compounded annual growth rate. Geographically, this report is segmented into several key Regions, with production, consumption, revenue (million USD), and market share and growth rate of Off-Highway Diesel Engine in these regions, from 2012 to 2022 (forecast), covering United States, China, Europe, Japan, Korea & Taiwan and its Share (%) and CAGR for the forecasted period 2017 to 2022. Chapter 13, 14 and 15, Off-Highway Diesel Engine sales channel, distributors, traders, dealers, Research Findings and Conclusion, appendix and data source. An Idaho trucking company that specializes in hauling farm goods has filed for Chapter 11 bankruptcy protection, which protects it against foreclosure while restructuring debt. Anderson Farms of Burley, Idaho, operates 41 trucks that transport feed to dairies and distribute other agricultural products in the Northwest. The company owes between $1 million and $10 million to fewer than 50 creditors and owns assets of less than $50,000, according to its bankruptcy filing. It’s also a “substantial shareholder” in the Anderson Cattle Co., a feedlot and cattle operation. Under Chapter 11 bankruptcy, companies can stay operational while developing reorganization plans to pay back creditors. The company referred questions to its attorney, Steven Taggart, who was unavailable for comment as of press time. According to court documents, Anderson Farms has asked a bankruptcy judge for permission to use about $1 million in cash that serves as collateral for creditors. Without that money, which the company expects to collect over the next month, “the debtor will be unable to operate or reorganize,” according to a court motion. A hearing on the matter was scheduled for May 9 in Boise. The trucking company’s bankruptcy filing comes at a time of stress for the dairy industry, which is coping with low milk prices. “There’s just no money in it right now,” said Steve Hines, a University of Idaho Extension educator. While some dairies are eking out a profit, others are living off the equity in their business or selling cattle, Hines said. Suppliers to dairies with large unpaid accounts receivable can face financial distress, but many have grown careful of finding themselves in this position, said Joel Packham, another University of Idaho Extension educator. Some dairies own trucks for hauling cattle and may use them for hauling feed as well, potentially creating competition for trucking companies, he said.